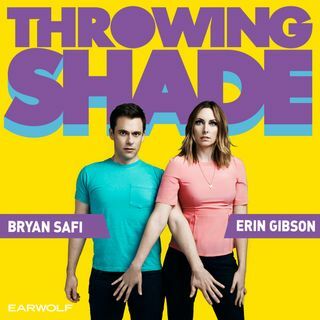 Erin is back from Houston to share a spontaneous moment of positivity on this week’s Throwing Shade! She and Bryan give their Golden Globes retrospective before diving into the latest stories. Erin discusses the horrifying report about a woman at an Arizona hospice center who was repeatedly raped and gave birth while in a vegetative state and the resulting investigation and resignation of CEO Bill Timmons. Then, Bryan shines a light on the immediate action by the new Democratic House to ... See More introduce rules providing job security to LGBTQ staff on Capitol Hill. This episode is sponsored by Squarespace (www.squarespace.com/SHADE code: SHADE), Miss Grass (www.missgrass.com code: SHADE), and ThirdLove (www.thirdlove.com/SHADE).